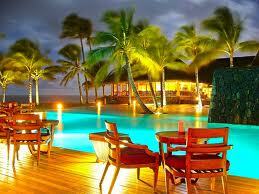 Relax at the Hilton Mauritius Resort & Spa, trying watersports or lazing on the Indian Ocean beach. The hotel is an hour’s drive from Sir Ramgoolam International Airport and 15 minutes from Casela Nature Park. Wind down in one of 4 restaurants and 2 bars. Enjoy a romantic dinner in the gourmet Melanzane restaurant, or cocktails and the catch of the day at the Mauritius Hilton Resort & Spa’s Aqua Bar. 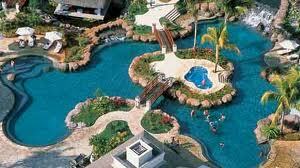 Enjoy the pool complex, water sports, spa and fitness center, kids’ club and 3 floodlit tennis courts. 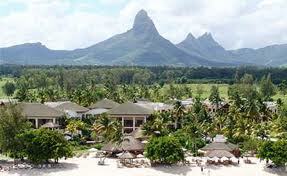 Visit Mauritius attractions like Medine Sugar Estate or Casela Nature Park. The hotel has 5 meeting rooms for 2-400 people, a business center and wireless internet access in all rooms and public areas. 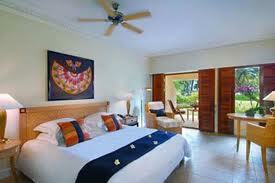 All Hilton Mauritius Resort & Spa rooms have wireless internet access. Step up from a Deluxe Room to a Junior Suite for a seating area with sofa. 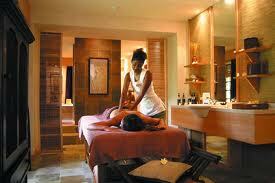 The Hilton Mauritius Resort & Spa is the place to go for all kinds of relaxing or invigorating experiences. 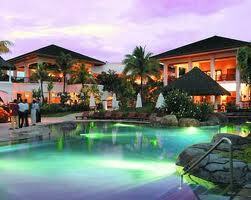 It has a beach, a spacious leisure pool with cascades and a bubble pool, plus water sports and a spa. Add to all this an array of gastronomic pleasures. Beach: A white sandy beach for romantic walks . Situated on the sunniest part of the island, the Hotel is built in an area considered to be one of the island’s most beautiful spots. Mark Twain described the island as the “original Paradise” that inspired the Creation. Right next to the Hotel is a white sandy beach. totally landscaped with a series of rocks and waterfalls. Underwater loudspeakers diffuse dolphin songs or classical music for the enjoyment of swimmers. The natural colors of the tiles range from blue to lagoon green, changing reflection according to the color of the sky. At night, lighting contributes still more to the mood. Mini putting green: Have fun with the on-site 9-hole mini putting green. The Hotel has a 9-hole mini putting green. Golfers can also opt to play at private clubs nearby. Tennis Court: Three floodlit tennis courts are available. Three tennis courts are at the disposal of guests, with floodlighting for evening use. Private lessons can be arranged with Tennis professional. The Hotel caters for the needs of family guests. Children have a separate program of activities in which they can participate in water sports, games and discovery activities, mixing learning with fun. baby-sitting is available by prior arrangement. One of the finest spas in the region, with a most relaxing atmosphere, the Spa offers a number of facial and body treatments. It comprises eight treatment parlours, a hair and beauty studio, fitness room, hydrotherapy bath, Vichy showers, steam room, sauna, relaxation area and a separate area (named Allamanda) for couples wishing private treatments.